Instructor User Guide CalendarHow do I import Calendar entries from a file? Note: If you do not see the Import Events option, you may need to check the Permissions for Calendar to see if you the Import Events permission is enabled for your role in the site. Choose the import file format. 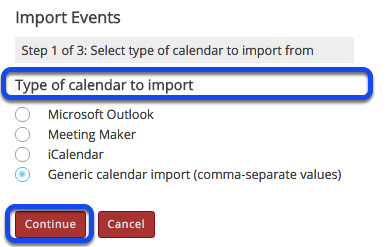 Select the type of calendar file you are importing (Microsoft Outlook, Meeting Maker, or Generic calendar import (comma-separate values)), and then click Continue. Click the Choose File button to browse for and select your file, and then click Continue. Note: Your import file must be in a specific format. 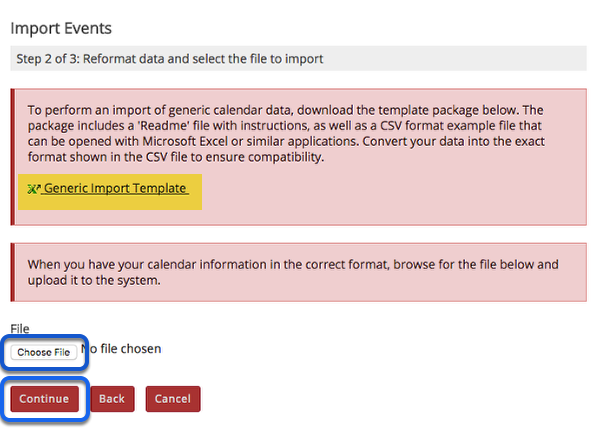 For example, if you selected the generic calendar import option, you will see a link for a Generic Import Template that you can download to view an example of the correct import file format. Preview items and import events. You will now see a preview of the items to be imported. Verify that all the event information looks correct. Remove the check mark for any items you don't want to import. 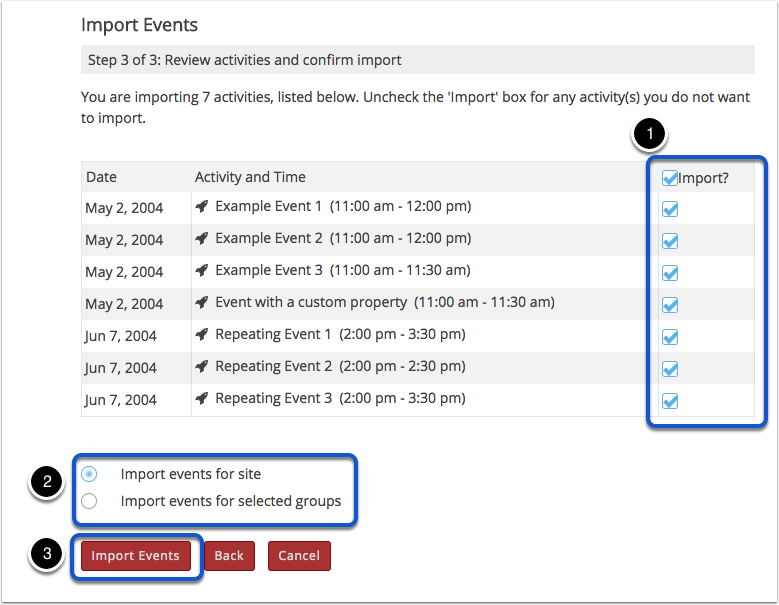 If you would like to import events for a specific group, select Import events for selected groups, and then select the desired group. Click Import Events to complete the import. Prev: How do I merge the Calendar with another site? Next: How do I modify Calendar permissions?